Takachiho is located in northern Miyazaki Prefecture, in a scenic valley of natural landmarks, tea fields, and terraced rice fields. These fields and the network of water canals that support them, many built by the community over the past one hundred years and more, have been recognized as a Globally Important Agricultural Heritage System (GIAHS). The town has several nationally-recognized natural landmarks, such as the Takachiho Gorge with its steep 100-meter high walls and the picturesque Manai Falls at its center. Many visitors come to enjoy a boat ride during the day or the illuminated falls at night. Home to several places featured in Japanese mythology, Takachiho’s shrines are popular destinations. Many shrines have deep connections to Japanese myth and local legend. Amano Iwato Shrine, for example, houses the location of Amano Iwato, a sacred cave where the sun kami deity once hid from the world. 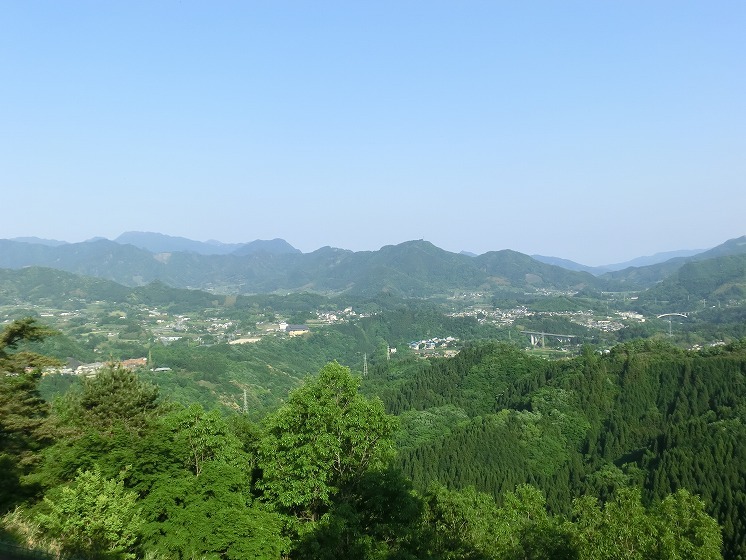 Kushifuru Shrine on Kushifuru Peak honors the arrival of a vital mythological figure to earth: Ninigi no Mikoto, the grandson of the sun deity, and the mythological great-grandfather of the first emperor of Japan, Emperor Jimmu. Kushifuru Shrine marks the location where Ninigi is said to have arrived after descending from the heavens. In the Takachiho area, it is believed that Emperor Jimmu was born and raised on Takachiho’s Kushifuru Peak with his three older brothers. One of those brothers, Mikeiri no Mikoto, is venerated at Takachiho Shrine, a shrine with a history tracing back over 1,900 years. Takachiho is where visitors can experience yokagura, a nationally-recognized folk cultural asset. Yokagura is a theatrical Shinto dance, and at select times in the winter different communities in Takachiho gather for night-long performance ceremonies. Although usually a local tradition, visitors from other communities can also celebrate yokagura events. During the festivities, guests can enjoy traditional Takachiho cuisine such as kappo dori (a chicken dish cooked in a freshly cut bamboo stem) and kappo zake (sake served in a heated bamboo cup).